1090.00 EUR max. 5 Pers. They attract us like a magnet, the magical three mountains: Eiger, Mönch und Jungfrau. This impressive helicopter tour takes you through the Grindelwald valley over the Männlichen ski area to the Eigernordwand. 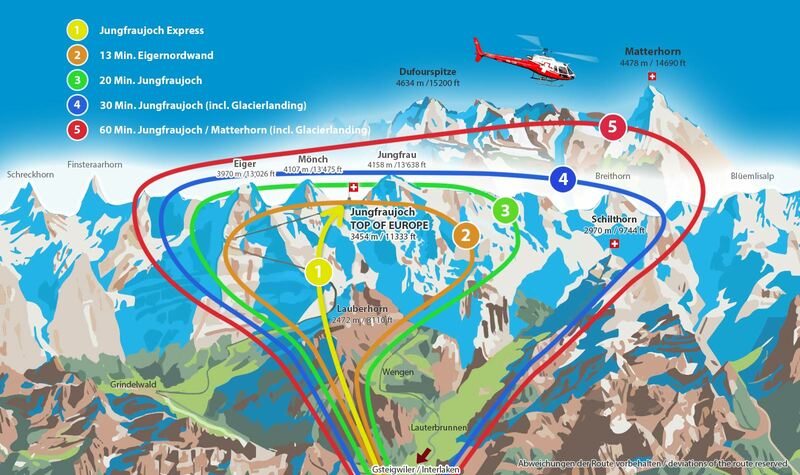 Follow the Mittellegigrat along the Eiger south side to the breathtaking Jungfraujoch ("Top of Europe"). 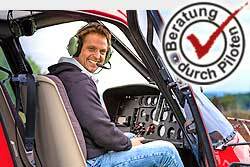 Via Silberhorn and Wengen you will fly back to the Heliport Gsteigwiler. Glacier landing only on a private flight, on request CHF 250 (€ 230). Other flight route!